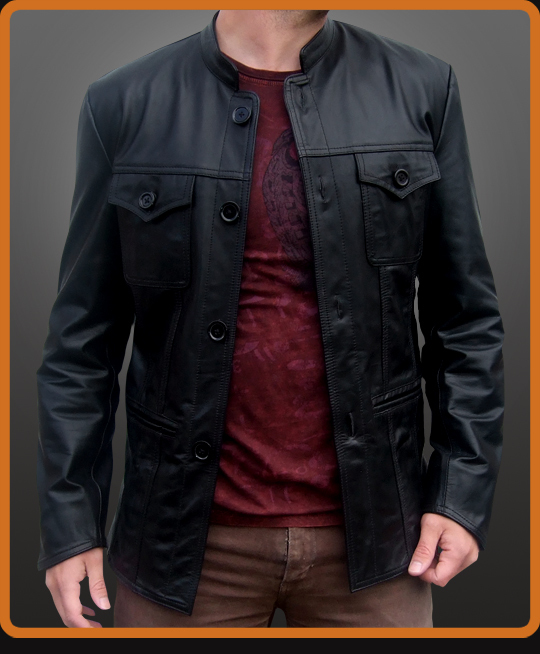 Classic vintage style leather jacket as seen on Paul Weller. Details include Nehru collar and 70's style chest patch pockets. Another stylish piece from the Modfather who always wears the coolest leather jackets. Available in Black and Antique Brown.